Made in hard steel but smooth in shape, Dalì is inspired by famous “melted clocks” of the omonimous spanish artist. All the details have been carefully designed: from foldings all along the bench surface to holes for dirt and water filtering. 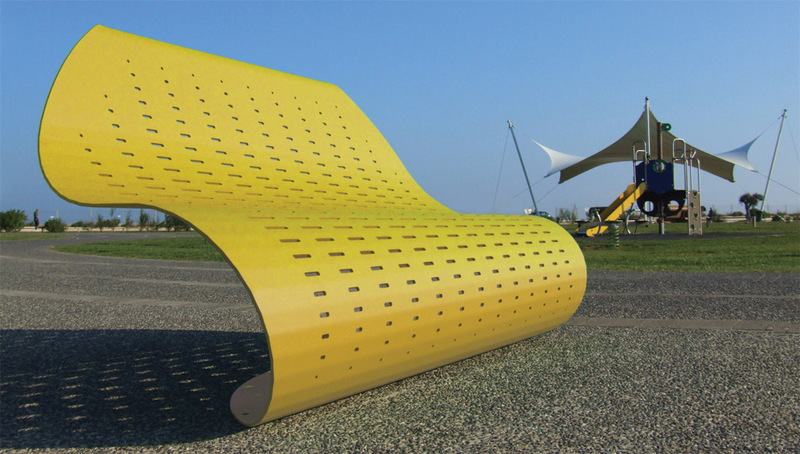 Born from a 190cm diameter steel plate, its foldings allow to avoid any other structure for bench sustaining. Dalì simply envelops on itself, keeping its shape with any external stress.